Did you know, aside from foraging and literally surviving, that national wildlife refuge birds wear lots of hats? From certified greeters to law enforcement clawfficers, our feathered gatekeepers take their jobs very seriously. So flock on over to a national wildlife refuge and witness our hardworking ambeakssadors for yourself! 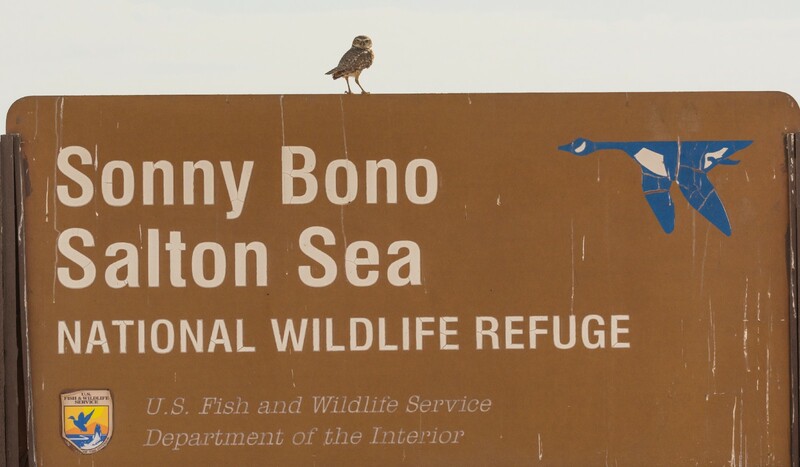 Burrowing owl strikes a pose on a Sonny Bono Salton Sea National Wildlife Refuge sign in California. Photo courtesy of Wendy Miller. Sometimes they come in forms of welcoming committees. 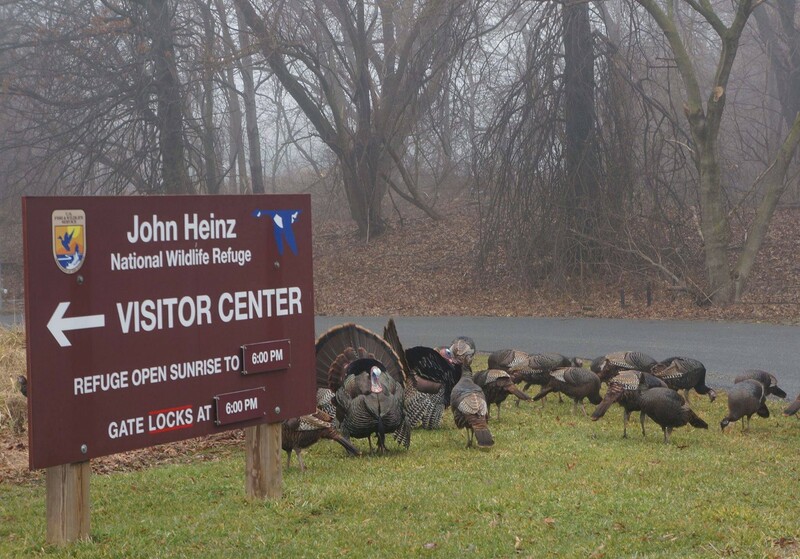 A rafter of wild turkeys gather next to a John Heinz National Wildlife Refuge Visitor Center sign in Pennsylvania. Photo by USFWS. 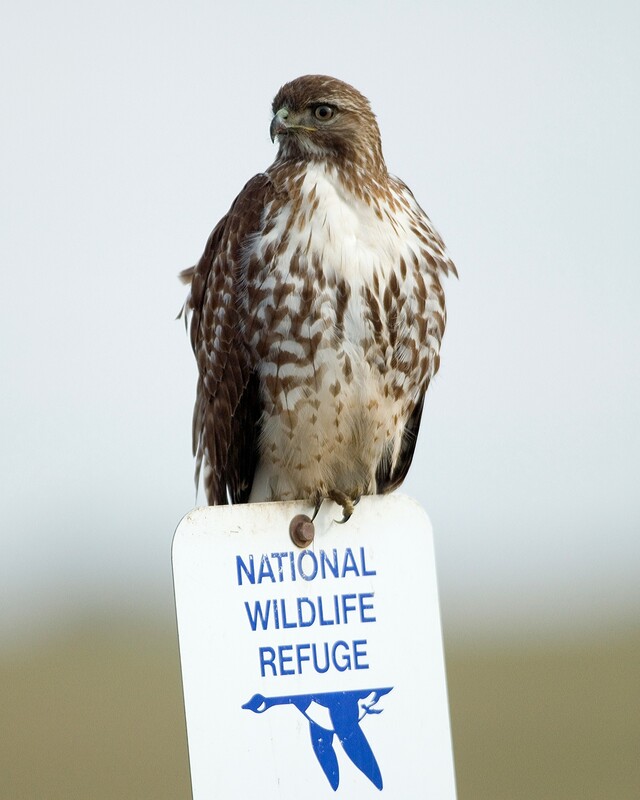 A red-tailed hawk roosts on a national wildlife refuge sign at the William L. Finley National Wildlife Refuge in Oregon. Photo by George Gentry/USFWS. 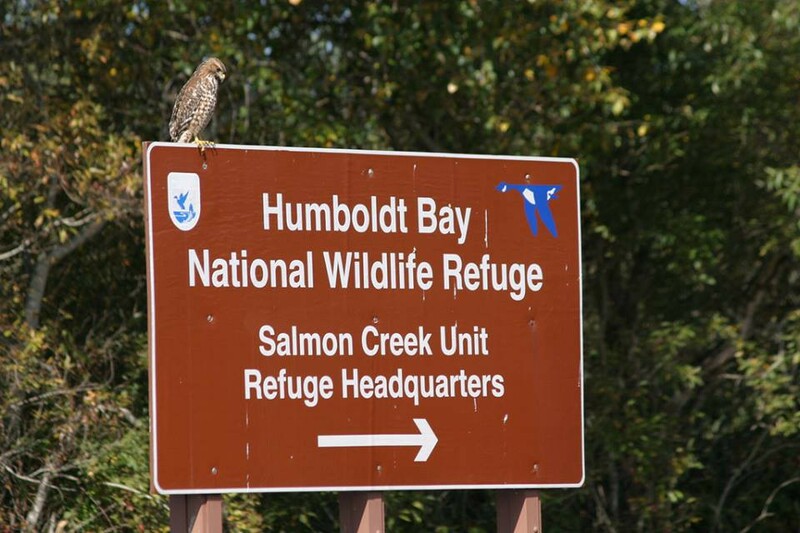 A red-tailed hawk perches on a Humboldt Bay National Wildlife Refuge sign in California. Photo by USFWS. …and can you say HOSPITALITY? Some refuge birbs are very helpful to other members of staff; like by acting as a second hat to block out that harsh sun! 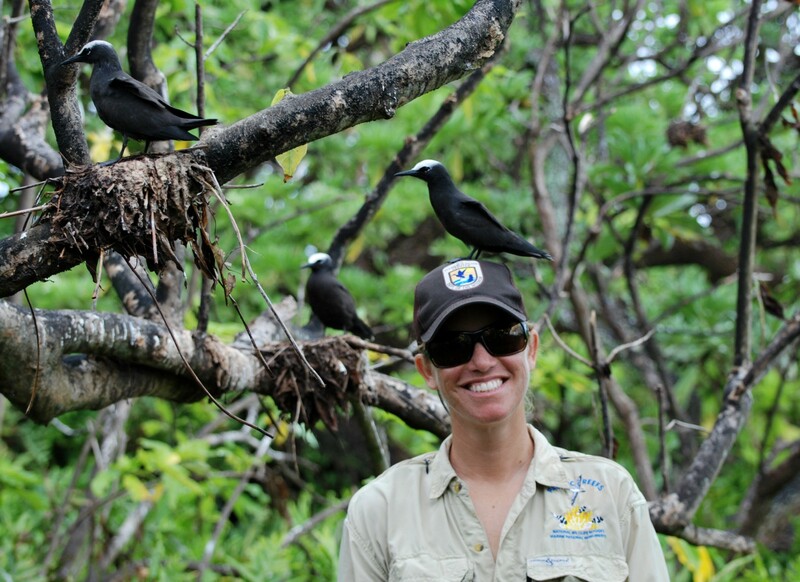 Black noddy acting as biologist Amanda Pollock’s second hat at the Palmyra Atoll National Wildlife Refuge. Photo by USFWS. 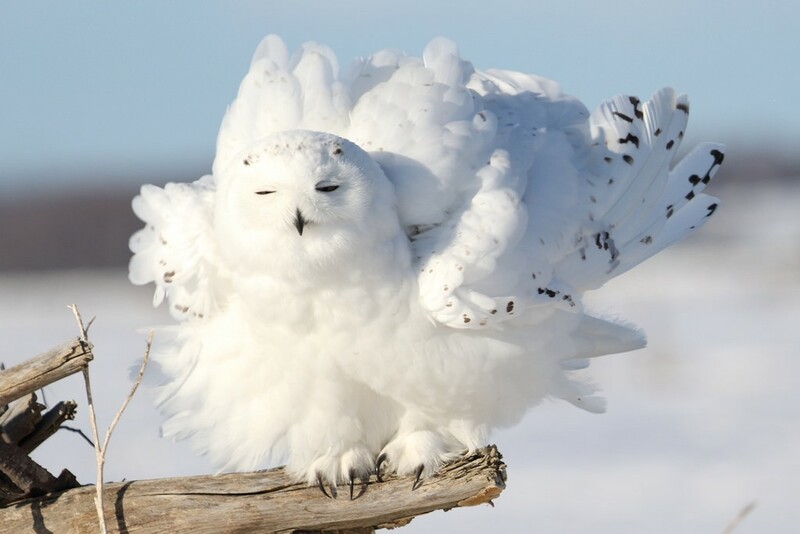 These feathery floofs mean business — you shall NOT pass. 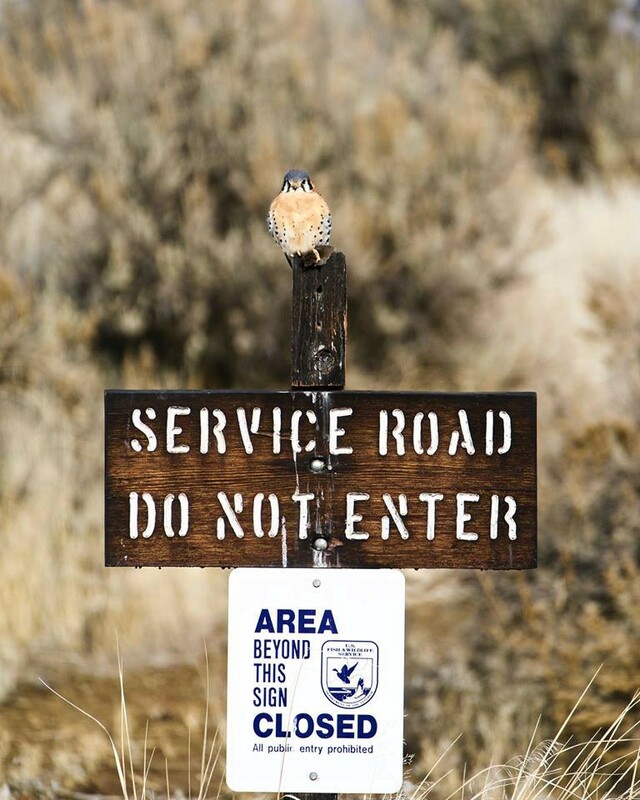 American kestrel clawfficer monitoring closed areas at the Modoc National Wildlife Refuge in California. Photo courtesy of Jim Kimura. You may even be lucky enough to catch a double duty shift! 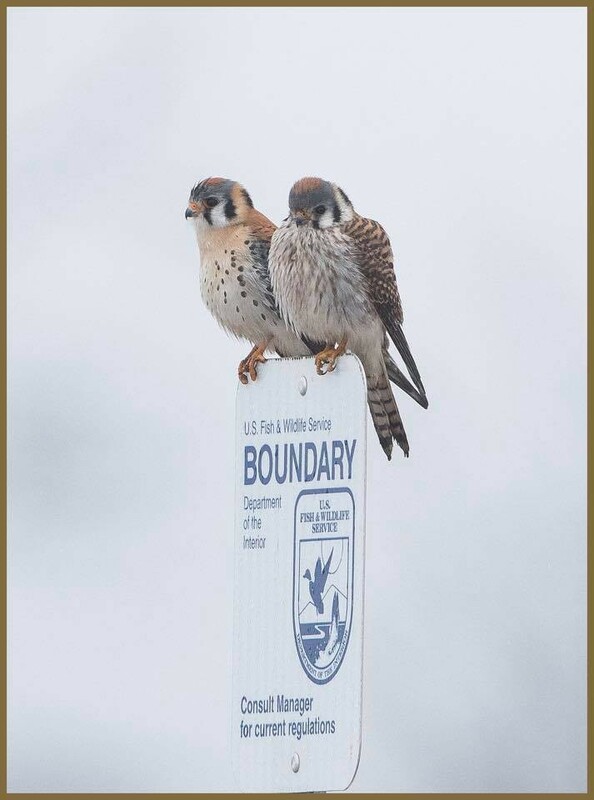 Two American kestrel clawfficers perch on a USFWS boundary sign at the Shawangunk Grasslands National Wildlife Refuge in New York. Photo by USFWS. 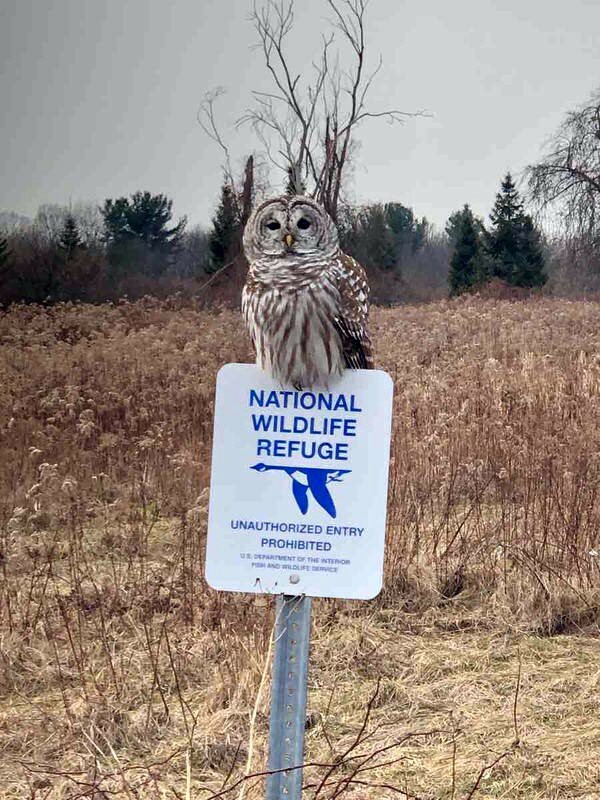 Deputy clawfficer barred owl regulating at the Oxbow National Wildlife Refuge in Maryland. Photo by USFWS. 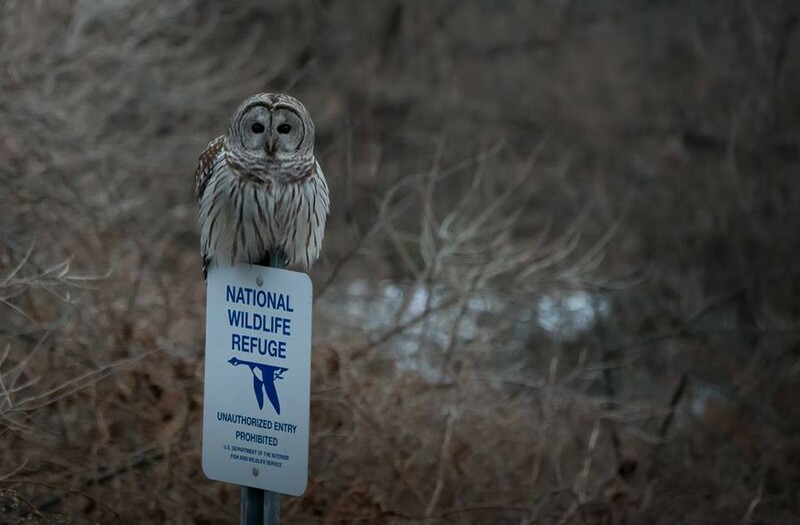 Deputy clawfficer barred owl at the Rachel Carson National Wildlife Refuge in Maine. Photo courtesy of Mike Sullivan. 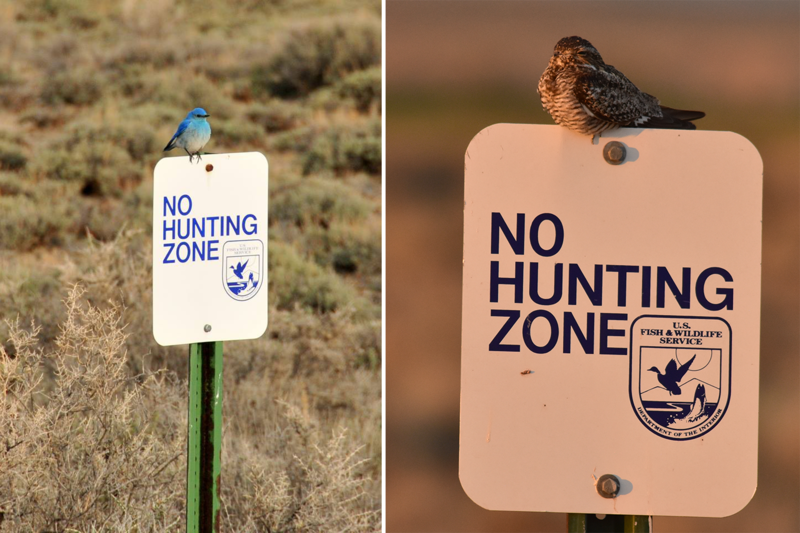 Clawfficer mountain bluebird working a morning shift (left) and clawfficer common nighthawk running the evening shift (right) at Seedskadee National Wildlife Refuge in Wyoming. Photos by Tom Koerner/USFWS. Friendly reminder though, please don’t badger them. 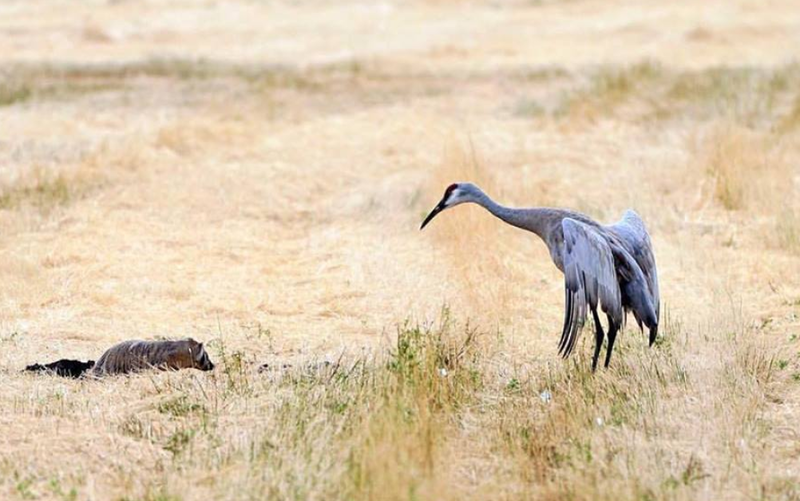 An American badger pesters a sandhill crane at the Modoc National Wildlife Refuge in California. Photo courtesy of Jim Kimura. 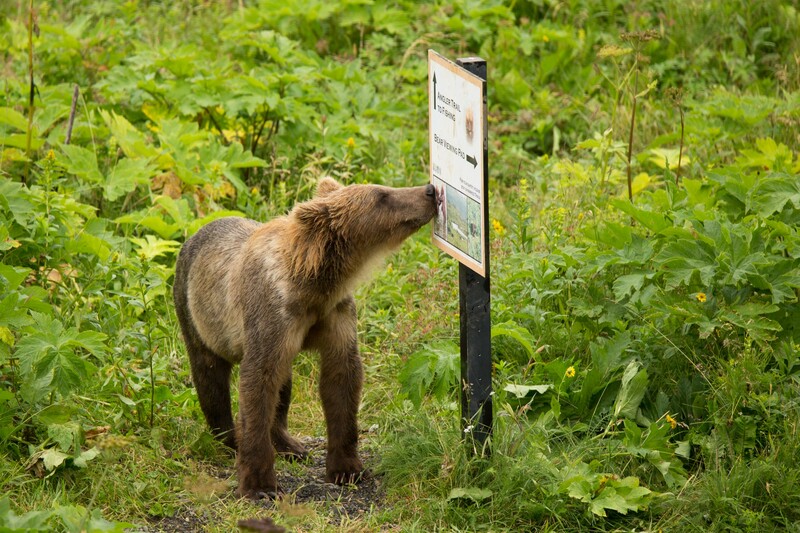 Kodiak brown bear peruses a trail sign at the Kodiak National Wildlife Refuge in Alaska. Photo by Lisa Hupp/USFWS. 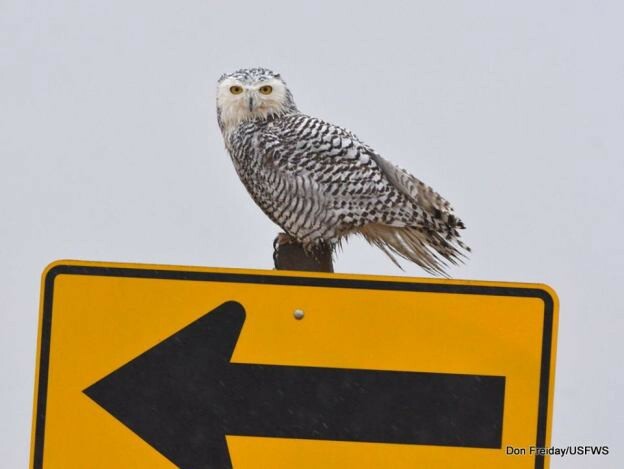 A snowy owl perches on a directional traffic sign at the Edwin B. Forsythe National Wildlife Refuge in New Jersey. Photo by Don Freiday/USFWS. 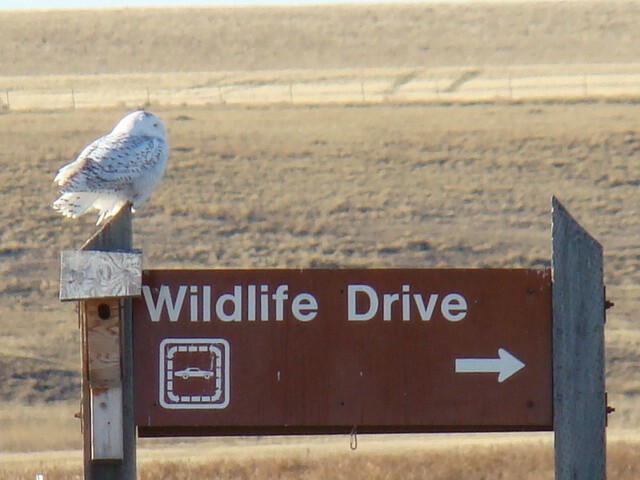 Snowy owl directing traffic to an auto tour at the Benton Lake National Wildlife Refuge in Montana. Photo by USFWS. Need a point of reference? These birbs got you covered. 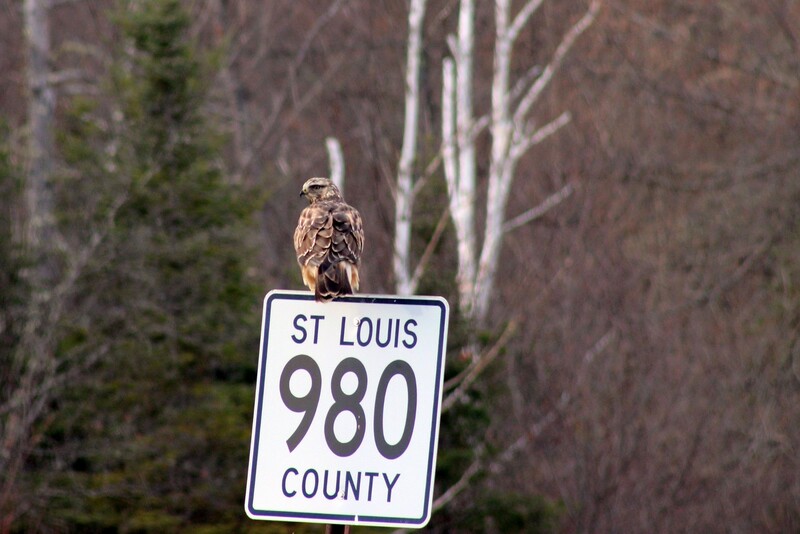 A rough-legged hawk perches on a St. Louis County sign in Minnesota. Photo by Courtney Celley/USFWS. 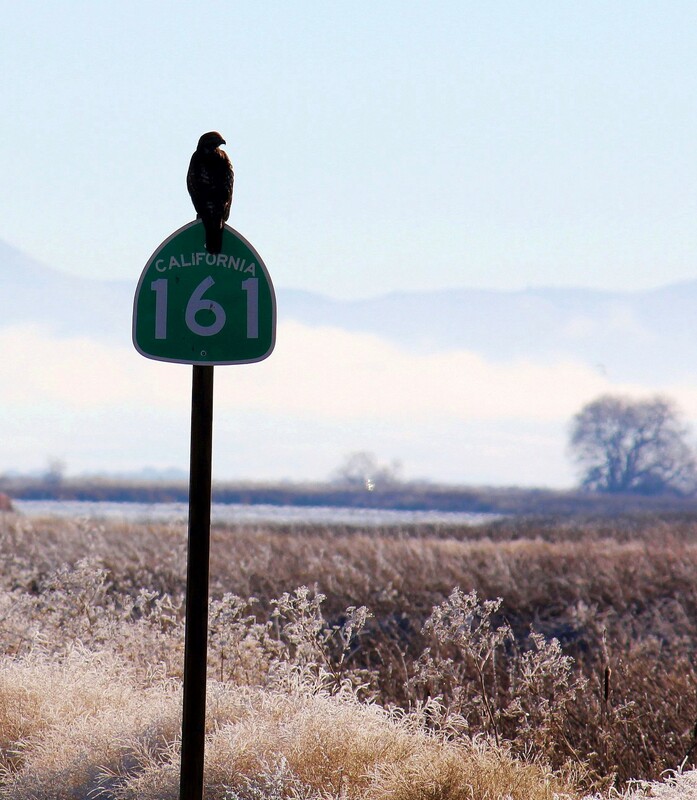 A hawk perches on a California State Route 161 sign at the Lower Klamath National Wildlife Refuge in California. Photo by USFWS. 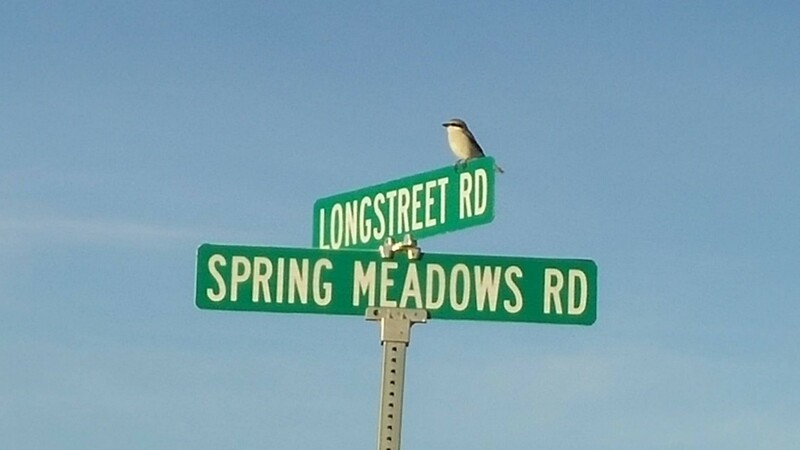 A loggerhead shrike gives subtle directions at the Ash Meadows National Wildlife Refuge in Nevada. Photo courtesy of Tom Mitchell. 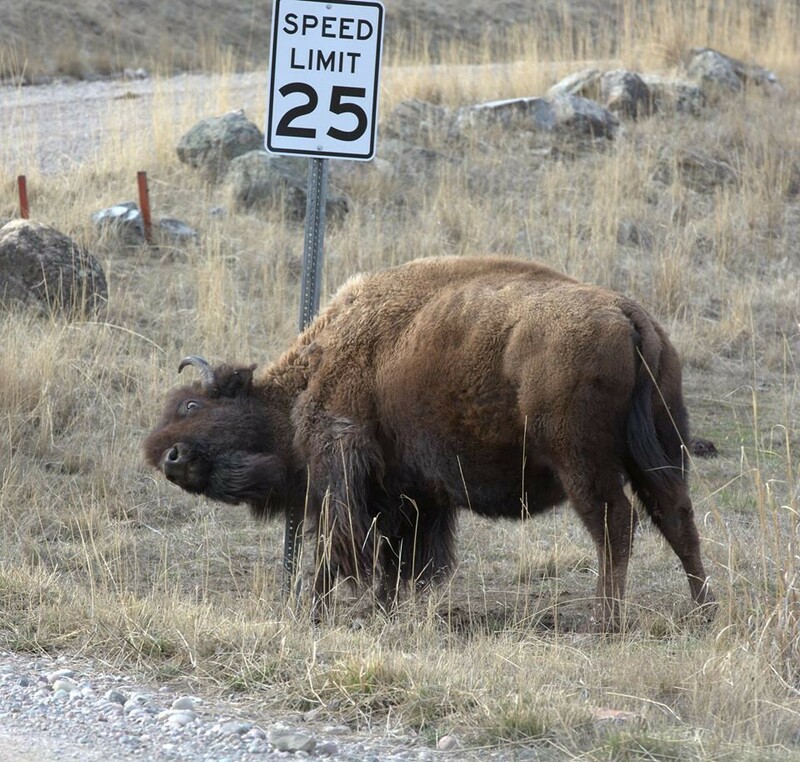 Speed limits may be frustrating. American bison at the National Bison Range Refuge Complex in Montana. Photo by USFWS. But the wildlife will always thank you. 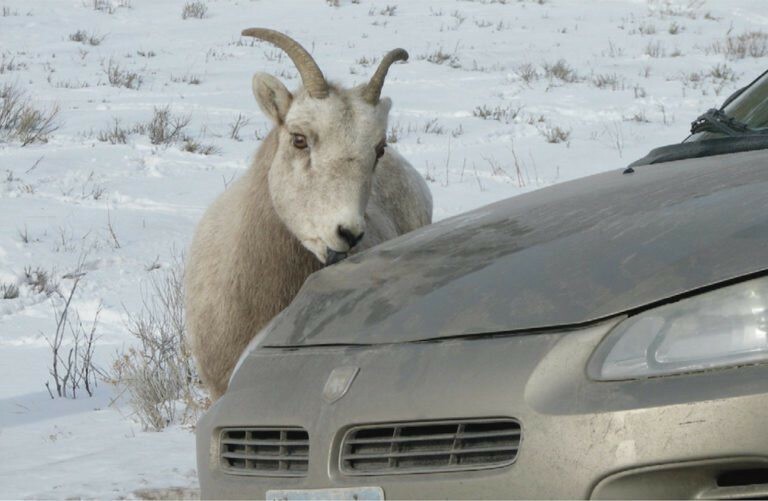 Bighorn sheep gives a friendly lick to a car at the National Elk Refuge in Wyoming. Photo by USFWS. And most importantly — relax and enjoy the scenery; you’re at a national wildlife refuge! 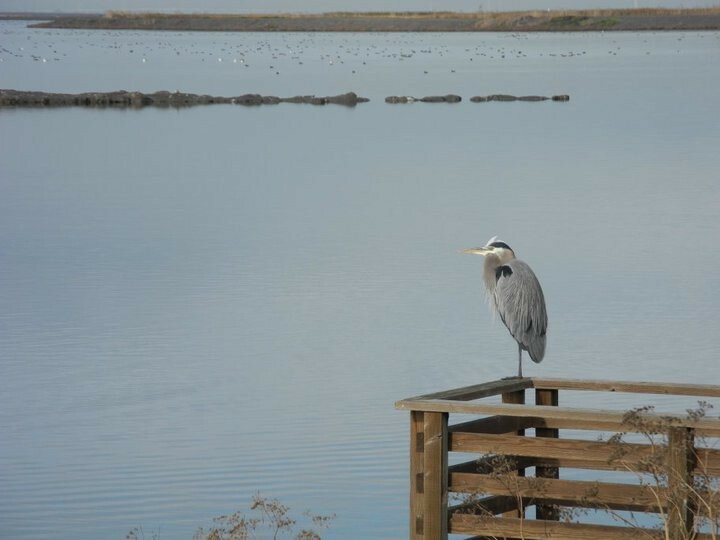 Great blue heron enjoying the views at the Don Edwards San Francisco Bay National Wildlife Refuge in California. Photo courtesy of Debra King. We hope we inspired you to go out and explore! Click here to find a refuge near you! Puddles, the U.S. 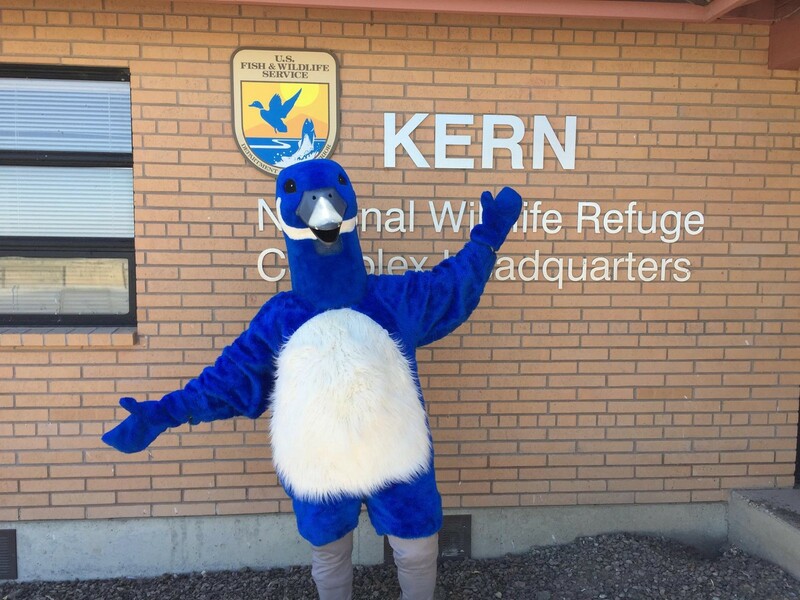 Fish and Wildlife Service mascot, at the Kern National Wildlife Refuge Complex in California. Photo by USFWS.